Brick Town Talk: Not Quite Dead - LEGO Town, Architecture, Building Tips, Inspiration Ideas, and more! If the old adage “absence makes the heart grow fonder” really is true, then Brick Town Talk’s fondness level is at an all-time high, so at least there’s that. 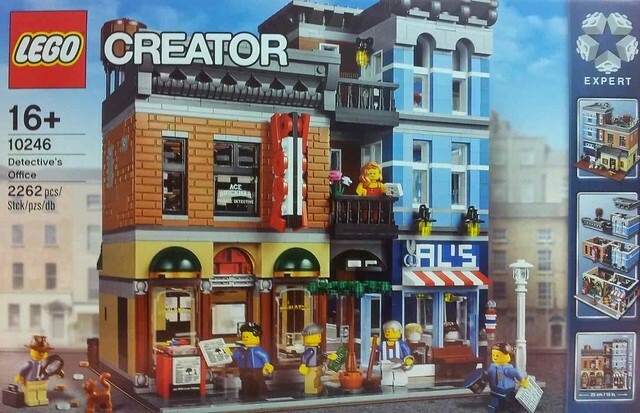 Clearly that isn't the reality, but this extended hiatus has certainly made me miss this little site, and what could be better timing to stage yet another comeback than with the leak of the next modular, the Detective’s Office, due out early next year (thanks to Eurobricks for the pic below). This past year and a half have seen a fair amount of changes in the world of Lego blogs, with the death of a few of my favorites (goodbye Classic-Town) and the creation of some new ones (hello Modulars by Kristal). Still, I don’t think that there really is another site quite like this one, celebrating all the wonderful Lego architecture out there regardless of scale or style, so it’s worth keeping around, at least in my opinion. For now, expect the usual reporting from me with a few minor tweaks here and there to margins and removing some dead wood. Don’t expect these every day, but definitely more than once every 18 months. Going forward, I am thinking about other features that would make the site more interesting to both the audience and the author so this isn’t just a series of images you’ve already seen on flickr. If there is anything you would like to see, feel free to email me (and if you have emailed in these last months, I am slowly getting through them). As for my own Lego creations, those also took a year off. 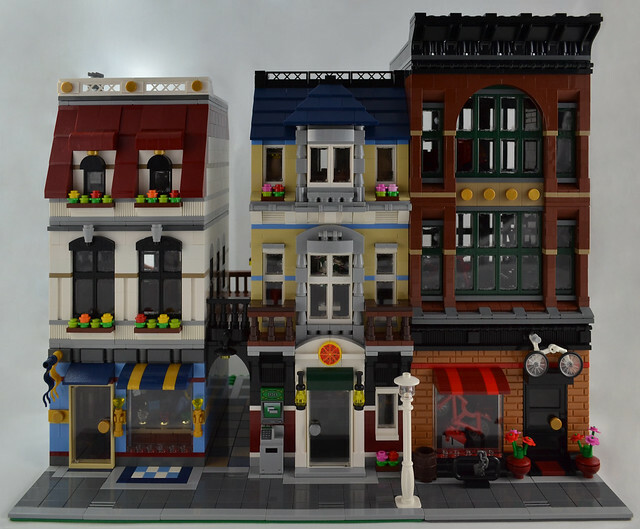 I am happy to say that I am slowly getting back in the MOC game, starting with the completion of my jewelry store, pizzeria, and bike shop (lovingly inspired by the official Bike Shop and Café set). Expect to see it soon in the Rockefeller Center Lego Store, and look forward to some new modulars in 2015. I just stumbled across this blog a few days ago, and must admit I was rather disappointed to see that you had stop posting. Happy to see your active again. Cheers. Fantastic MOCs. I, along with many others I'm sure, are definitely looking forward to more updates. I especially like the alley between the Jewelry Store and the Pizzeria.